As a Chicago native, I’ve seen plenty of pimps in person. They’ve always seemed like caricatures of humans with their brightly colored clown suits and slick talk. I could never take them seriously and deemed them entertainment. The older I got and learned more about what they actually did, I had more questions than answers. I could not understand why someone would give all of their money to someone when they did nothing to work for it. How could they offer you security when they’d hit you just as quickly as a trick would? I watched (and loved) The Mack, was entertained by Snoop’s little pimp phase and even threatened to dress as Bishop Don Juan for Halloween. 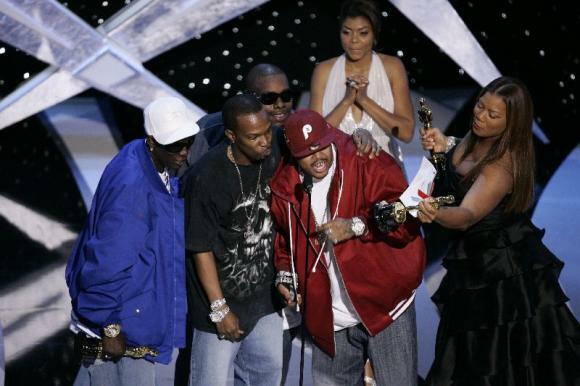 I laughed myself into a stomach cramp when 3-6 Mafia won an Oscar for “Hard out here for a pimp.” I guess because it seemed to over the top to be real. I saw a documentary about teenage girls in NYC who were lured by pimps. I’d even watched a scene where a pimp attempt to pick up on girls in a food court and insulted them when they chuckled at him. Hearing the different interviews, I realized these dudes were not clowns, they were monsters. The level of misogyny they operate at was insane to me. They’re like emotional chameleons. They sniff out what these girls are lacking and become that. Once they make the girl feel loved and comfortable, they systematically tear her down to complete and total dependence. It’s really sad. I’m finding out lately that it’s not just girls. There are people who prey on young gay boys whose family’s put them out too. I’ll be the first to admit, I used to judge that situation. “If he hits you, just leave and run away”, “I wouldn’t sell my goodies and give the money away..hell no”, etc. I assumed these girls chose this life. I judged and assumed but now I empathize. There’s tons of things to unpack about this. We have a huge problem with glorifying pimps and emulating their culture. You can go to any Halloween store and find pimp costumes. Sadly, I’ve even seen them in baby sizes. What the hell are we teaching our boys? Another big hurdle is blaming the victims! It’s not The Best Little Whorehouse in Texas, these girls had their backs against the wall and were taken advantage of. On a regular basis, many girls just don’t feel any protection of their innocence (here’s a great read on that), we need to change that. By EMPOWERMENT! Help me raise money to empower children, put away pimps and put a dent in a huge problem that goes unnoticed right here on US soil…in metropolitan cities.